SAN FRANCISCO, Calif. /California Newswire/ — In response to an overwhelming need to improve childcare access and affordability at the University of California, United Auto Workers Local 5810, which represents more than 6,000 postdoctoral scholars at UC, is hosting a panel on childcare resources, low-income childcare funding, work/life balance and statewide initiatives for childcare funding on Thursday, August 22. "Our members are world-class scientists and researchers – and many of them are really challenged by the childcare situation at UC," said Neal Sweeney, President of UAW 5810. "This panel will examine the difficult choices families are faced with as parents try to navigate a career in academic research. "One Berkeley study found that while more women are obtaining PhDs in science than ever before, those women – largely because of pressures from having a family – are far more likely than their male counterparts to 'leak' out of the research science pipeline before obtaining tenure. This is just one consequence of policies that don't adequately support families, and on Thursday we will explore potential solutions to this problem and others." WHAT: Panel on Childcare Challenges and Resources. WHEN: Thursday, August 22, 2013, at Noon. WHERE: Mission Bay Genentech Hall South, Room 261 with a special simulcast in Parnassus' Stem Cell Boardroom; Room 1041. – Laura Reber Ph.D Associate Specialist and Fellow in Copenhagen lab. Laura and her husband are both international researchers who have experience in what it is like to independently begin a family while working full time in California. Out of necessity, Laura has become well versed in a variety of birthing and childcare resources. They are expecting a second child and are preparing to make difficult career choices. – Cati Brown-Johnson, Ph.D and mother of two (1.5 & 3 years old). Cati is prepared to discuss her experience with childcare cooperatives – she is Chair of Puddle Jumpers Co-op and in the process of founding Monkeybird House Preschool Cooperative. She currently works part-time in lung cancer stigma and tobacco control policy research with Janine Cataldo and has played a key roll in developing advocacy talking points and strategies for our childcare committee. – Toran MacLeod, PT, Ph.D. Single father and NIH fellow will discuss work life balance and offer a father's perspective on parental leave, work life balance and stress management. – Quinn Grundy, Ph.D candidate in Nursing, Health Policy. Quinn has been active with the Graduate Students' Association and will represent graduate student parents. As an elected representative, she will discuss some of the key issues facing graduate student parents including discrimination, the academic climate, and cost of childcare. She is eager to discuss possibilities for graduate student- postdoc collaboration in supporting parents and families in academia. 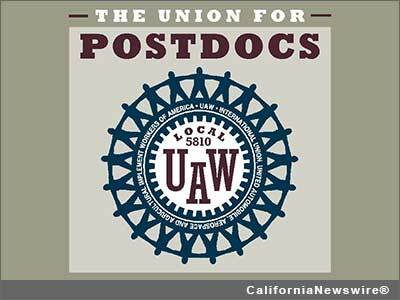 – Neal Sweeney, Ph.D President of UAW Local 5810 and father of two will discuss childcare bargaining with UC, membership and importance of having a strong, democratic union. – Maureen Boyd mother of two (twins!) and senior organizer for community partnerships with SEIU. She is currently working on supporting childcare workers and state wide advocacy for low income childcare subsidies through a grass roots coalition; Raising California Together. She is prepared to discuss how community involvement affects big picture policy making. Her knowledge base ranges from aspects of the subsidized childcare system, home based childcare, major challenges that exist in terms of access and quality in Calif. to big picture policy making related to Obama's childcare proposal, and Hillary Clinton's Too Small to Fail Initiative. More information regarding this event: Neal Sweeney, UCSF Postdoc Union, +1-831-334-3367.